Armagh Street | Fleetwood Construction Ltd. This inner-city construction project posed more challenges than most. Two townhouses, two new builds, two owners and all on a narrow back-to-back section. Sam Fleetwood worked closely with both owners to make sure they understood the scope and timeframe of what would happen on their property, as well as offering advice on the fine details and finishing touches to make sure everyone was happy. It’s important to note that people have different styles and tastes, and it was our job to balance those while working on these two different new builds. We only work with and recommend contractors we know and trust. Working with a range of professionals in the industry also meant we could confidently suggest contractors we believed would best be able to realise the visions of our two clients. When working on two different building projects in a confined area, there is no substitute for clear communication and strong systems and processes. We delivered both projects by the agreed deadline while making sure both owners were happy throughout the whole process. The end result is two very different, very stylish townhouses in Christchurch’s city centre, with all the modern conveniences. 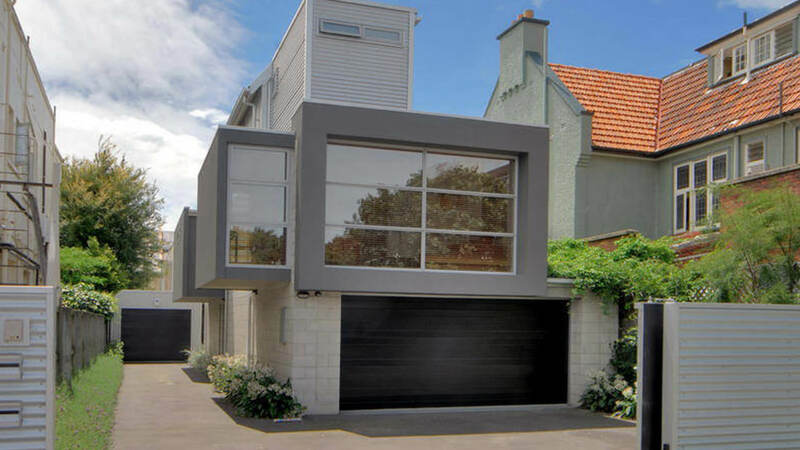 Are you planning on building or renovating in the inner-city? Are you working on a cross-lease section or with multiple property owners? For a free chat on your next Christchurch building project, contact the Fleetwood Construction team on 0800 381 381. I will continue to use Sam for further building work that I will be carrying out and quite unreservedly recommend him for any building project.